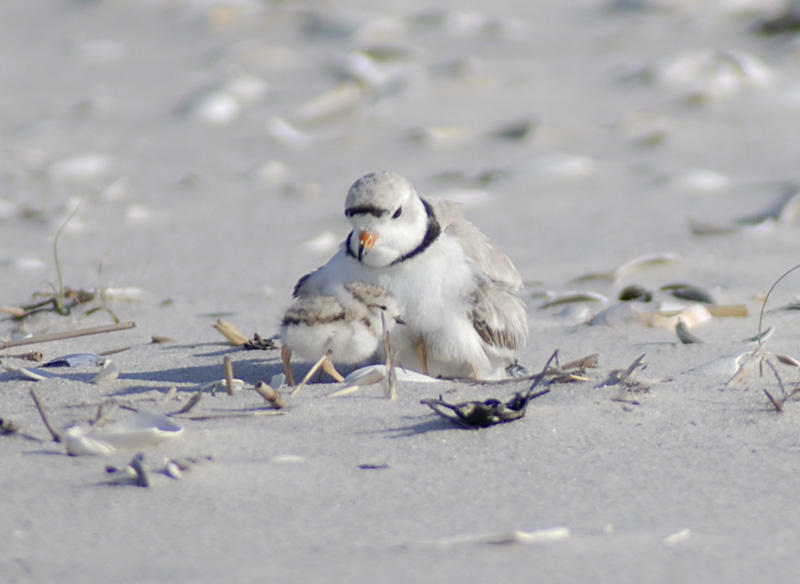 A plover and her chicks. “This is the first time I’ve seen snowy owls this late into the season in these kinds of numbers and also it’s the first time we know that piping plovers were predated by snowy owls,” says Cavalieri. This is a problem because piping plovers are an endangered species. 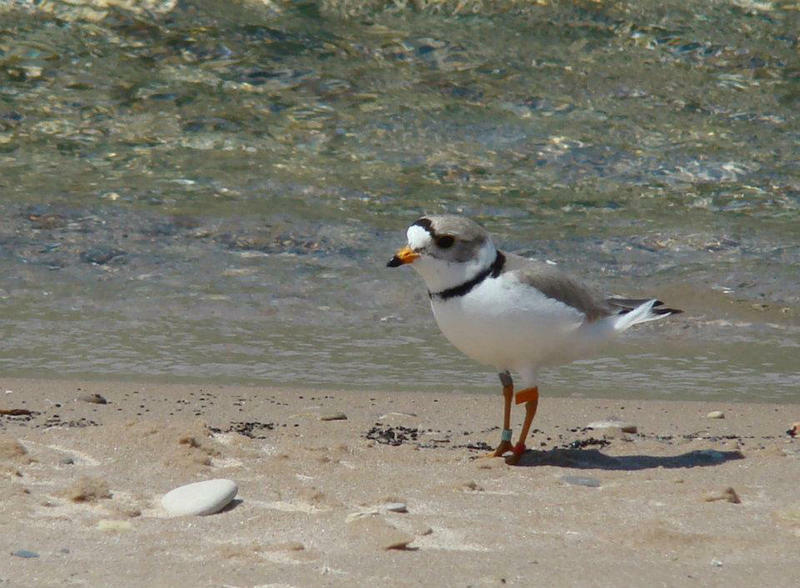 There are fewer than 80 nesting pairs in the Great Lakes region. “It’s a very rare, rare bird with a lot of threats. So, I’m always worried about them,” he says. The U.S. Fish and Wildlife Service considered trapping snowy owls, but they decided against it because the birds seemed to have left on their own. 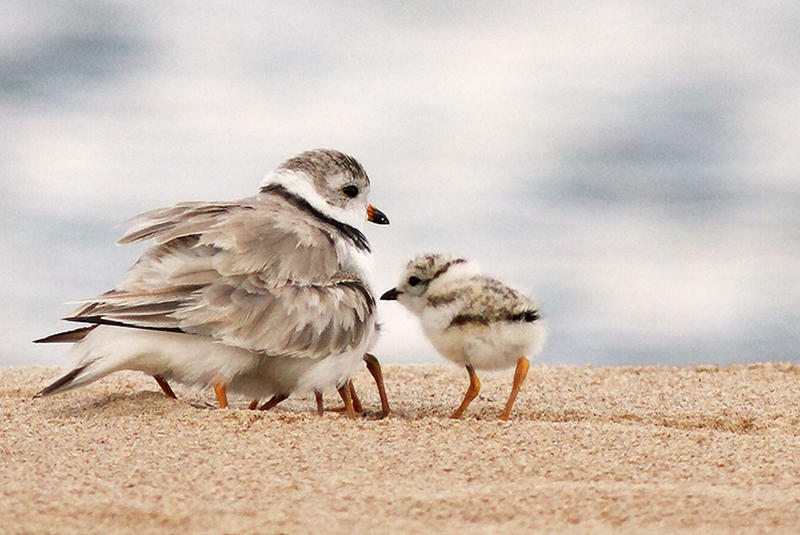 Every year, conservationists take steps to protect the plovers. They’ve built fences around nests on the beaches, and people are keeping an eye on how the plovers are doing. 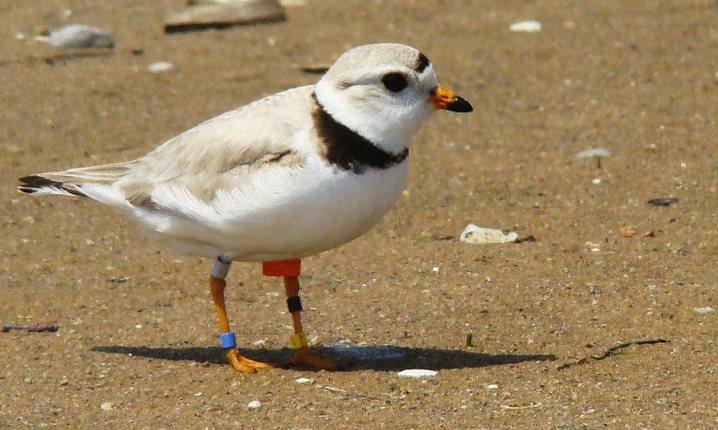 Cavalieri hopes these actions will help increase the plover population to 150 pairs.